The "Pistacia vera "is the tree of the Anacardiaceae species, with height of around 3-4 meters. It can reach up to 5-8 meters, and to an average age of 300 years. Inside, the fruit made by the drupe, with an oval endocarp whose shell is hard and thin, with a seed inside, called "pistachio" of a bright green colour under a purple skin. The harvest is the most tiring part. This hard work takes place from late August to late September. The "Pistacia vera" bears fruit every two years. Therefore, it is possible to have a constant crop, very substantial in terms of quantity and quality. The most suitable habit for the pistachio is in areas where the winter is very cool and the summers are hot and long. In the case of Italy, it grows almost exclusively in Sicily, in a very large area. The most famous town for the production of this typical fruit is Bronte, a place located in the province of Catania, at the foot of the highest volcano in Europe: MOUNT ETNA. Bronte constitutes only 1.2% of the world productions of pistachio, but the quality of the fruit and the plant grown there are far superior to other plants and fruits of pistachios spread throughout the rest of the world. All of this occurs thanks to the volcanic area and its land, "the sciara" (volcanic material). In fact, the famous Green Pistachio from Bronte is used in confectionery, both shelled that peeled or chopped into flour, to prepare creams, ice creams and drinks. 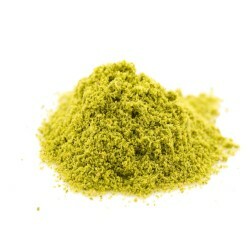 It is used in the production of cured meats and cheeses, or as seasoning for first and second courses. The pistachio also provides products used in Restaurants, bakeries and ice cream parlours in the form of pure pastes, creams and pesto sauces. IS THE CULTIVATION OF PISTACHIO FROM BRONTE POSSIBLE? The data reported have no MEDICAL/PRESCRIPTIVE value. The information above is only for informative purposes and they are not intended to replace medical advice.If there are special circumstances or pathologies you should consult your doctor. NATURAL PISTACHIO There are 4 products. The pistachio in shell (Tignosella) is good dried fruit, perfect after the meal. 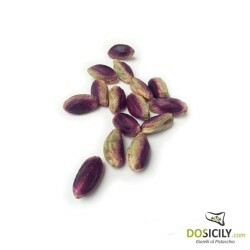 Dosicily.com selected for its customers the best fruits, and certainly dried fruit in shell (including pistachios from Bronte), proved to be the best fruits for the wellness of men and women, independently from other factors that could have an effect on life expectancy of each person. The evidences of our pistachio from Sicily and other studies suggest that consuming dried fruit in shell has a potential benefit on health. Dried fruits in shell contain important nutrients such as unsaturated fats, proteins of high quality, vitamins (such as vitamin E, folic acid and niacin), minerals (magnesium, calcium, and potassium), and phytochemicals. These are all elements with cardioprotective properties, anti-cancer, anti-inflammatory and antioxidant. Previous studies have supported the protective power of pistachio in shell, especially of pistachios from Bronte. 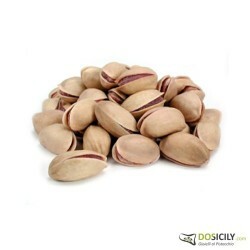 These studies suggest that pistachios consumed in moderation can help to keep the right levels of glucose in the blood. Studies show that eating about 40 grams per day of the majority of dried fruit in shell, including pistachios, in a diet low in fat and cholesterol, may reduce the risk of heart diseases. The pistachio is produced following the best farming methods. The fruit of the pistachio, especially the one from Bronte, is a dry fruit with a peculiar emerald green color, enclosed in a woody hard shell. The unshelled Pistachio is different from similar products on the market, above all because of its emerald green color and its size superior the average of pistachios from the rest of the world. Small green nuggets of a unique and unmistakable flavour, are the most consumed product loved by chefs. The flavour of the pistachio from Sicily is strongly aromatic, sweet and qualitatively superior. It is a fruit rich in substances with high nutritional value and in ingredients used in the medical field. It is used very often in the kitchen either neat or chopped, in recipes both sweet and salty and it can be used in the production of cheeses and cured meats. 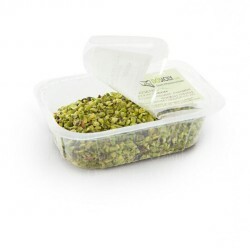 Pistachios grain is a product used to make great appetizers with fresh cheese, pasta and risotto, in the pastry or in ice cream making art to put as decoration on a creamy pistachio ice cream. It is made by grinding shelled pistachios. Pistachios are dry fruits rich in vitamin E, potassium and iron: they have beneficial effects on the skin and help to decrease cholesterol, combat anemia and fluid retention. They are also an excellent source of "good fats "among which we find also the presence of "omega-3 ".We are talking about a real "green gold". Our pistachios naturally grinded, unlike the pistachios grain, is a product that is finely chopped in order to obtain a pistachio flour. It is a very common product, used in many recipes with a unique flavour, a strong aroma and an intense green colour. The processing of peeling is a method based on working with water vapor, which causes the peel to be away by itself. This kind of pistachio can only be found during the crop years (odd years). The processing of this product uses only traditional methods and is performed in Bronte. The peeled pistachio is the most exclusive product used by companies that produce cured meet and cheese, for example for the famous “mortadella”. It has a unique flavor that is also applied in different types of typical products, such as in the preparation of first and second courses, but still cakes, appetizers, desserts, sorbets and ice creams. It has a less intense colour but brighter.